South of Congress Street on the west side of the Santa Cruz River near downtown Tucson was a Pima Indian village. This site, at the base of Sentinel Peak — today it is called ‘A’ Mountain — is known to have been inhabited since at least 1000 B.C. Located by a once-flowing spring that emptied into the Santa Cruz, American Indians called the village Stjukson (spelling of the word varies widely; the Spanish transliterated it to Tucson). This is a photograph of the old Clifton jail, probably taken in about 1900. 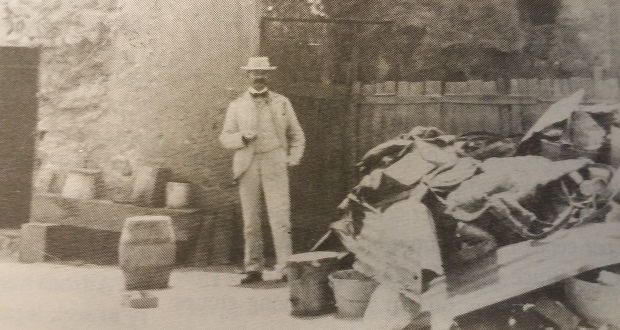 The identity of the nattily dressed man is unknown, as is the explanation for the rubble piled high in front of the fence. We do know some about the jail, however.